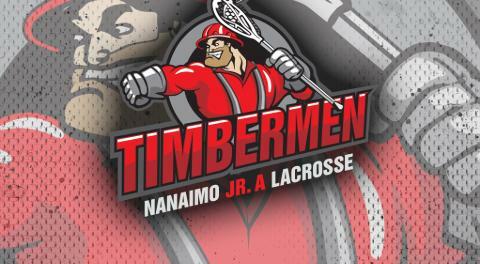 The Timbermen recorded their second win of the season on Saturday 13-10 against the Burnaby Lakers. Ryan Sheridan led the offense with seven points and Thomas Vaesen and Jake Mickelson each had five point efforts. Colin Jeffrey backstopped the team to the win with 31 saves. On Sunday Nanaimo lost 16-6 in Langley. Sheridan led the scoring again with a four point game. Colton Lidstone had a goal and an assist for the Tmen and Thomas Vaesen scored a pair of goals. Dakota Kasper stopped 44 shots in a losing cause. This coming weekend Nanaimo hosts Delta Saturday at 4:30pm and then the travel to New Westminster to tackle the belies on Sunday.